Amasa Hutchins may be one of the few Rockford mayors that will not be looked on favorably by historians. He made no secret of it, evidently, that he belonged to a semi-secret, anti-Catholic organization called the American Protective Association. During his two terms in office (not consecutive), he tried his utmost to remove a public servant from his job because he was Catholic. During his second term, he finally succeeded. In addition, it was on his watch that DeKalb was selected as the site for the builidng of Northern Illinois University. Rockford made no effort to encourage the Illinois legislature to select it as the site during the selection process, while DeKalb did the opposite. The long term consequences of this decision have made it especially difficult for Rockford to recover from serious economic blows over the last fifty years. Amasa Hutchins w as born in Guilford township on June 1, 1843. He was educated in county schools and continued farming for a while. He married Elizabeth Harrod in Rockford on September 19, 1867. The Hutchins had three sons and two daughters. They lived at 823 Bruce Street when he was mayor. Elizabeth was born in London in 1849 and came to Guilford, Il to settle with her parents when she was nine years old. Mrs. Hutchins was a member of the State Street Baptist Church. In 1901, Amasa Hutchins and John T. Buker were co-owners of the paddlewheel steamer Illinois on the Rock River. The Hutchins and Buker office was in the Brown Building. 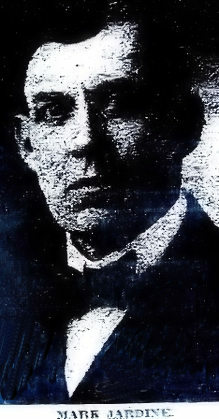 In 1878 Amasa Hutchins was elected president of the newly-formed Prohibition Club of Guilford, Il. 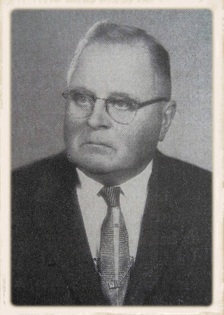 The club became a part of the Prohibition Party of Winnebago County in the same year and Amasa Hutchins was selected as a candidate for Sheriff. He won the sheriff's job which he held for six years. At, 36, Mayor Jackson was the youngest man to be selected mayor at the time of his election. He was born in Boone County but came to Rockford as a four-year-old child. He was schooled in Rockford and then began a photo frame business which was very successful. He married in ; they had no children. His first term as mayor was a successful one and he was reelected. During his administration, the first city hall was built (picture below, right). Considerable controversy surrounded its construction, but it was not due to wrong-doing or incompetency on the part of the mayor. After his tenure as mayor, he opened a real estate firm and was highly successful in both sales and in the realtor's associations. 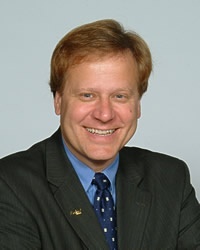 He was elected president of the Illinois realtor's association twice and served on the National Board of Realtors. Tragically, his life was cut short in an automobile accident on the road between Rockford and Elgin on an icy winter's night in 1930. His wife was also hurt in the accident, but survived. Jackson School, built in 1904, now closed (below, left), was named for Charles Jackson. Mark Jardine was born in Savanna,Il, in 1859. His father William was born in Scotland; his mother Esther was born in England. He graduated from high school in Carroll County, Il. He married Miss Harriet Lane Jenkins on March 1, 1878. They had three children, two daughters and a son. Mr. Jardine was a harness-maker by trade and early in his life took an interest in the organized labor movement. He was president of the International Union of Leather Workers on Horse Goods. He won his initial mayoral bid as the first mayor elected on the labor union ticket much to the delight of the workingmen of the city. On April 16, 1907, over 6,000 residents gathered at his home at 830 Maple Street (no longer standing) to serenade the new mayor accompanied by a roaring bonfire. While some feared that his leadership would lead to graft and corruption and others believed he would show great visionary prowess, neither resulted from his stewardship. He was deemed a "calm, dignified, fair-minded and efficient executive." He assisted in the prosecution of a "boodle" (graft) case that resulted in confession of bribery by six ex-aldermen. They were fined for their actions. He stuck to fulfilling his platform which included city improvements and a three cent fare at certain hours on the Interurban Railway. He was elected twice. In later years he served as a parole officer and a traveling officer for the state. He was also Grand Patriarch of the Illinois Encampment of Odd Fellows. In that age of temperance, he was a high license man.. He died in Princeton, Il, at the age of 56. His last address was 623 Jefferson Street (residence razed). He is buried in Greenwood Cemetery. 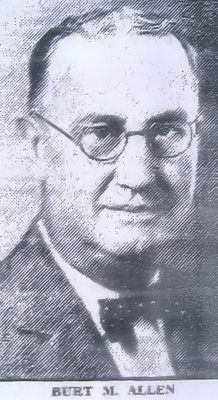 C. Henry Bloom served the city as mayor for 16 years, but his terms of office were split by the one term election of Charles F. Brown. Mr. Bloom was born in Illinois to Swedish immigrants. His early home was on 5th Street in Rockford. He began his career as an errand boy in the North Star Drug Store. He became a clerk, a pharmacist and then owner of the drug store which was on the southeast corner of 7th Street and 6th Avenue. He earned his pharmacist's certificate from the Hines Pharmacy School in Chicago. He owned the drug store for 34 years, but his brother-i-law, Lelannd Winquist, ran it after 1935 when the mayor's duties for the city necessitated that he give up his day job. The pharmacy name became the Winquist Drug Store. 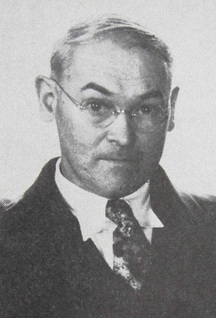 Bloom's interest in politics began in 1917 when he became an alderman. 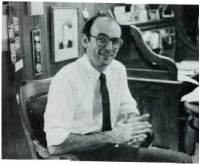 He was a protege' of Mayor J. Herman Hallstrom and served as alderman for eleven years. He spurned national political parties. When he ran for mayor in 1933, he started his own party, called the Progressive Party. Despite its name, Bloom was a fiscal conservative. His platform consisted of lowering utility rates and taxes. His greatest accomplishment while in office, he felt, was the reduction of utility rates. C. Bloom Elementary School was designed and built in 1952 by Raymond A. Orput and Associates. 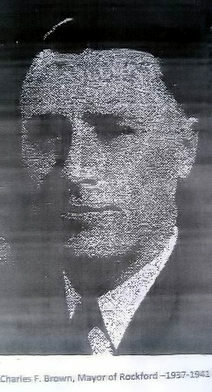 Born on a farm near Winnebago, Il in 1893, Charles Brown moved to Rockford in 1907. He was educated in city and county schools. 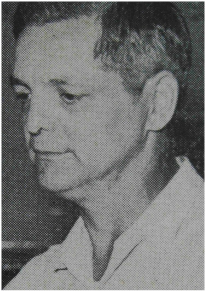 Bloom fought the city council throughout his years as mayor. His conservative stance on city spending induced his critics to call him a penny-pincher. Those who supported him declared he kept taxes low and he was always concerned about working for the good of the city and about the careful spending of the taxpayers' dollars. He established the first city ash collection. He was never able to stir up interest in a city/county historical museum. Also rejected was his desire for the establishment of a municipal electrical plant using federal funds and an east side scenic river drive. He was considered controversial in his day, but most agree that he was an honest politician. An elementary school on the east side is named in his honor. 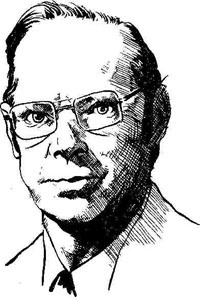 He died in St. Petersburg, FL in 1974. 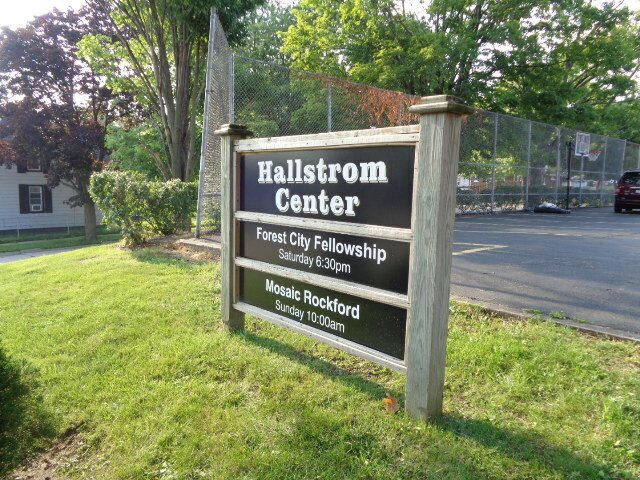 He is buried in Rockford's Scandinavian Cemetery along with his wife, Helen. No children are mentioned in historical reports. 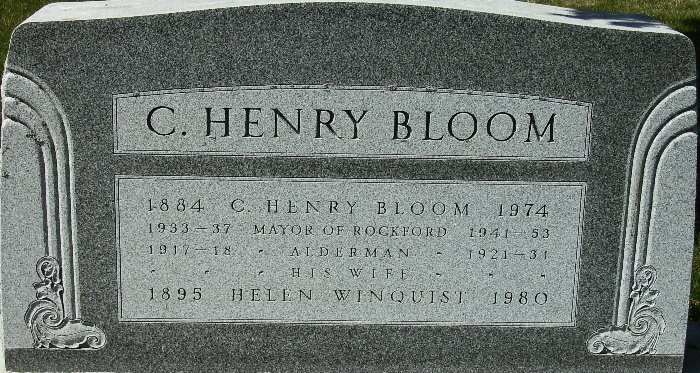 Mayor Bloom and his wife, Helen Winquist Bloom, are buried in Rockford's Scandinavian Cemetery. 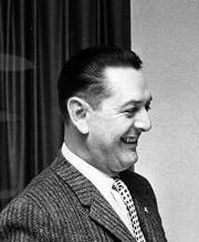 Ben Schleicher served as mayor of Rockford for 16 years. He was involved in infrastructure improvement for the city including the Spring Creek and Whitman Street interchanges and the Whitman Street and Harrison Avenue bridges. The Whitman Street bridge bears his name. He was a life-long Rockford resident, worked as a machinist and toolmaker at Woodward Governor and served on the City Council for eight years before his election as mayor, He ran first on the All-Rockford party ticket and later became a Republican. He and his first wife, Evelyn, had two children, Ben and Sally. His was married twice; his second wife, Sharon, survives him and lives in Rockford. He was one of eight children and a twin. His friends said he was a visionary and loved Rockford and its people. He often solved problems before they became serious. He was the longest continuously serving mayor of the ciity and remains so to this day. 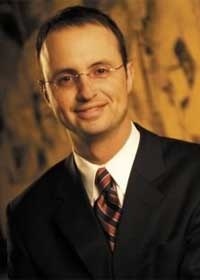 Mayor Morrissey has served as Rockford's mayor since April 2005. He was elected for a second term on April 7, 2009 and a third term April , 2013. He believes we can improve Rockford by improving our schools, improving public safety and improving infrastructure such as roads, rails, fiber optics and the riverfront. Mayor Morrissey lives in Rockford with his wife and four children. ​ Photo: Office of the Mayor, Rockford, IL. Mayor McNamara took office on May 1, 2017. 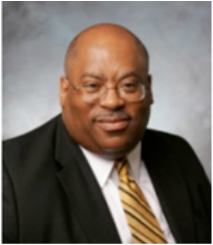 He served as an alderman in Rockford for three years before running for mayor. He is the son of Mayor John McNamara who served Rockford from 1981-1989. He is married and has two small children. Early in his tenure, a bid to restore Home Rule failed at the ballot box due to oppose from local realtors. However, local control of Rockford decisions is still a priority for this mayor. His concern for reducing high property taxes and for improving public safety are paramount on his policy agenda.